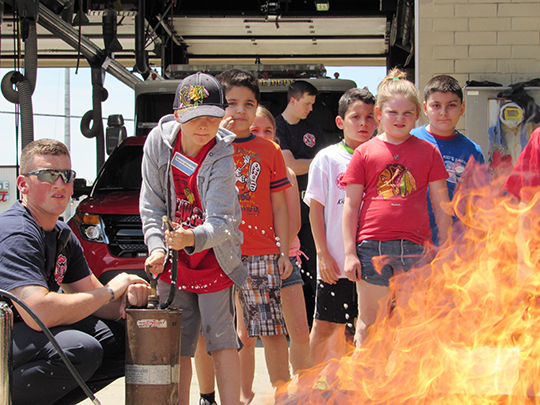 This summer the Westmont Fire and Police Departments will be hosting the 2018 Kids Safety Camp. There will be two camp sessions offered this year: Wednesday and Thursday, June 6 and 7; and Tuesday and Wednesday, July 31 and August 1. The two-day camps will be held from 9:00 a.m. to 3:00 p.m. each day. The camp provides an opportunity for 8, 9, and 10 year old children to spend time with their local heroes and learn much more than just the usual safety lessons. Applicants must live in or attend school within the Village of Westmont or participate in a Westmont-based Cub Scout or Brownie Troop. For further information, please contact Chris Hardy at the Westmont Fire Department at chardy@westmont.il.gov or 630-981-6400.